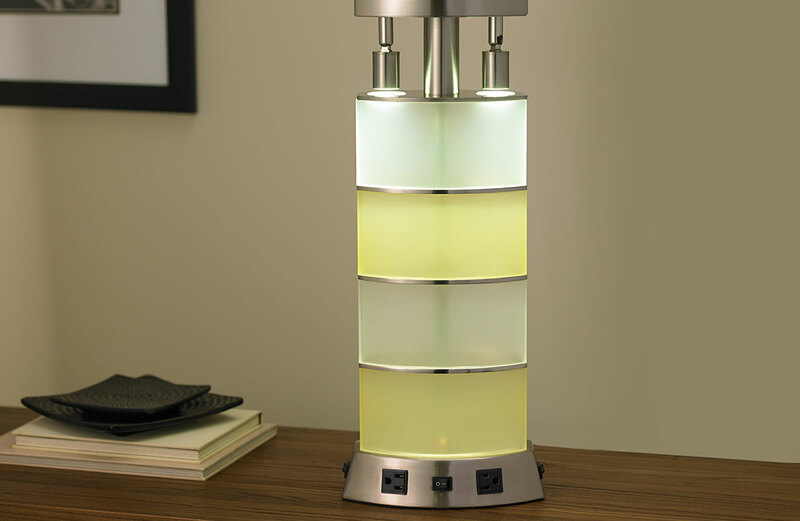 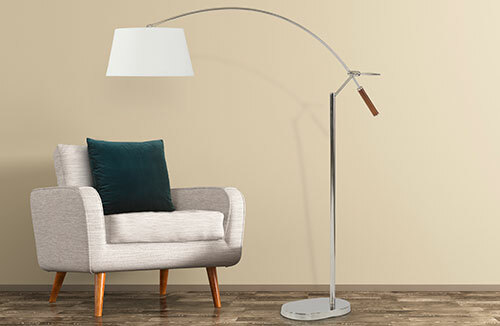 The truly unique Marriott Glow Lamp is a beautiful blend of form and function. 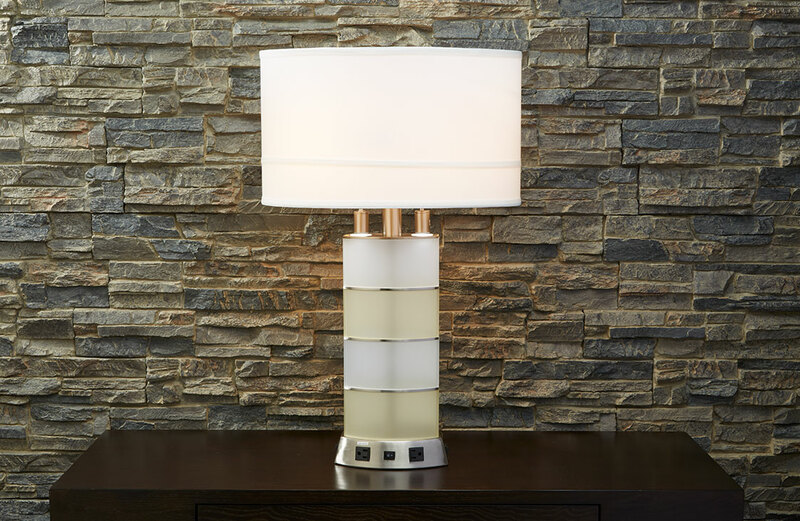 This stunning piece features an innovative design and mindful details, making it the perfect light fixture for any contemporary space. 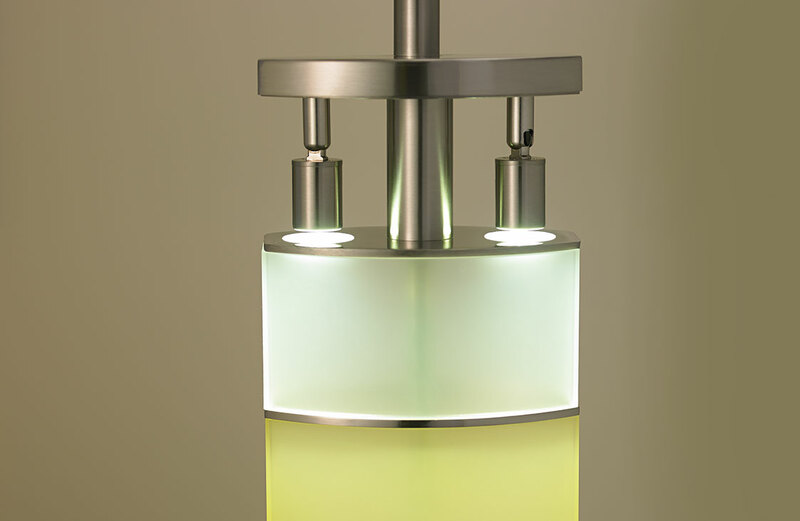 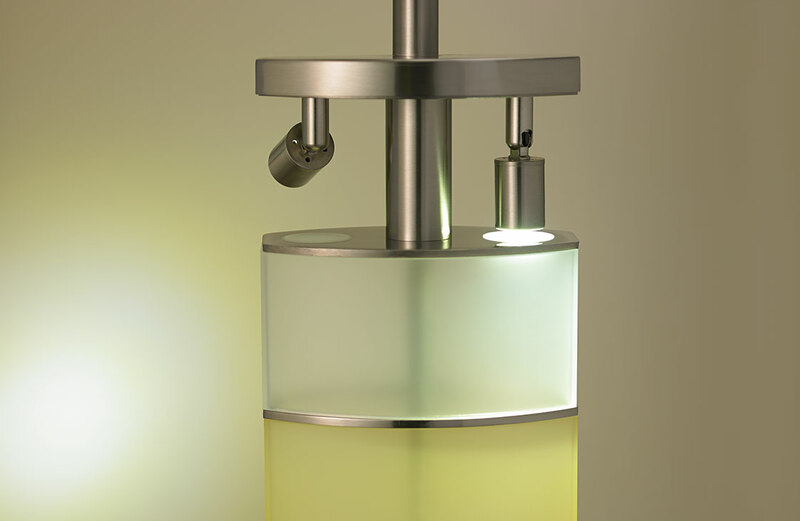 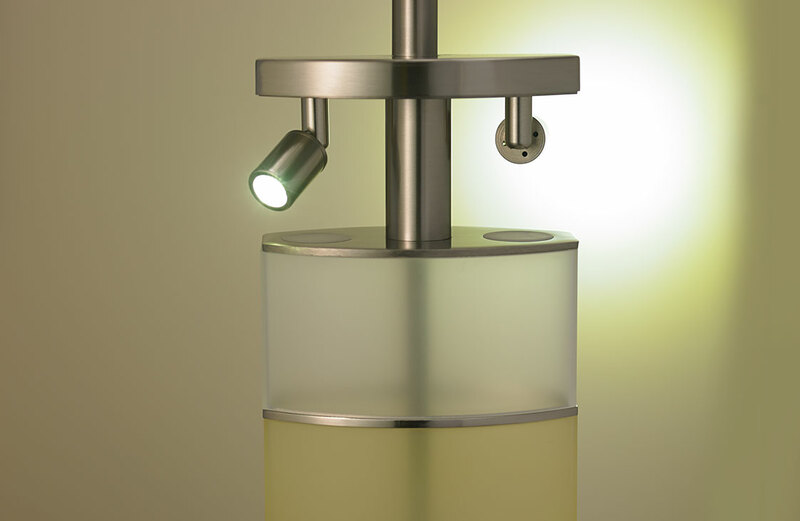 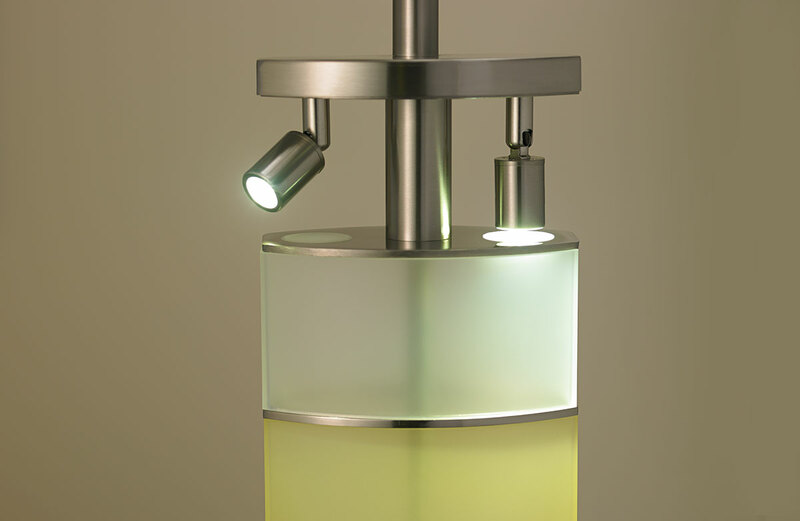 Alternating bands of tonal frosted resin and satin nickel cast a luminous glow throughout the room while offering even light distribution and eliminating hot spots. 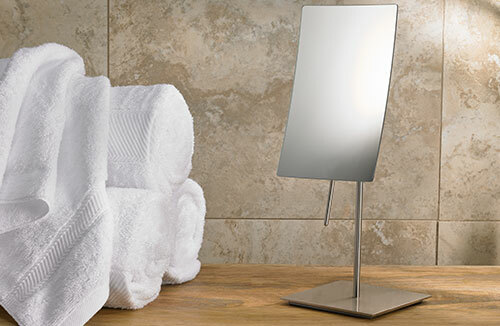 The oval-shaped linen shade is a study in grace. 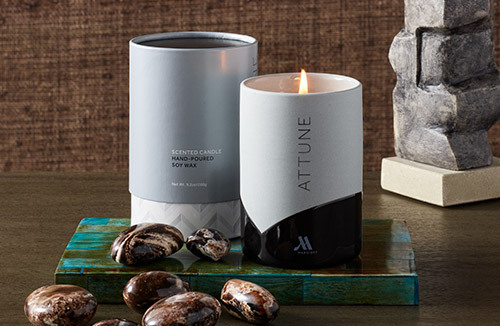 This Marriott exclusive is always a guest favorite.